CareWear and its partners have successfully designed Blue 450 nm Micro LEDs that are made into ink and printed on Roll-to-Roll Printing on 125 micron PET film into its flexible light patches. This new process revolutionizes light delivery and provides flexible printed light at significant power levels and efficiencies that are well suited for PhotoBioModulation (PBM) Therapy. Our light patches are made using 20 micron gallium nitride LEDs (3 times the size of a red blood cell) at a density of 200-300 LEDs per cm2. Our largest patches feature more than 3500 LEDs. The light output is highly directional and similar to LASERs relative to their beam divergence. We are able to provide continuous outputs at an average of up to 3 mW/cm2 over the entire treatment surface and up to 9 mW/cm2 in pulsed modes in areas up to 56 cm2. 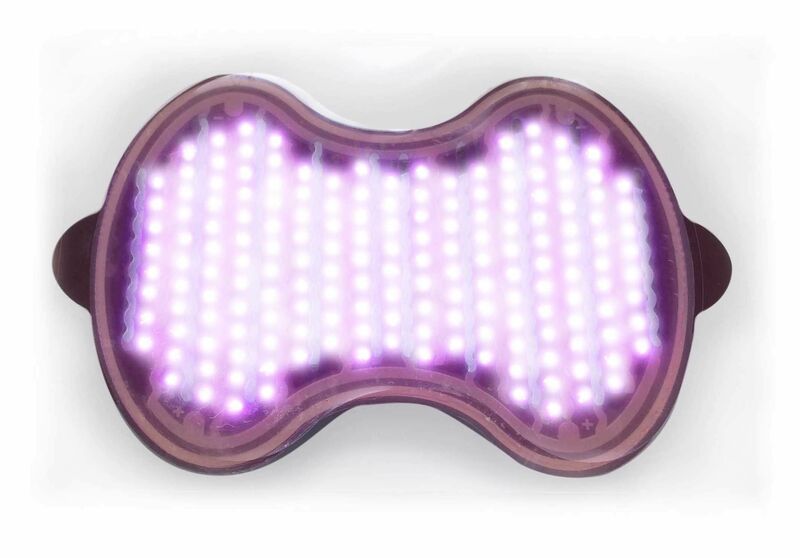 Using cadmium free quantum dot technology, CareWear is able to convert a portion of the blue light from the printed LEDs into red 640 nm wavelengths. For the first time in PBM therapy, this allows the simultaneous delivery of multiple wavelengths over the entire treatment area with very high uniformity and complete tissue coverage.